This is a series of interviews with the speakers of Digital Family Summit 2013, October 11-13. Aliza Worthington grew up in Brooklyn, NY, and now lives in Baltimore. A former middle school teacher, she began writing in 2009 at the age of 40. Sometimes her writing follows The Seinfeld Model of “no learning, no hugging.” Other times it involves lots of both. She blogs about Life, Liberty and Happiness at “The Worthington Post.” Aliza is proud to be a regular contributed to the online magazine, “The Broad Side.” Her work has also appeared in Catonsville Patch, Kveller, and has been featured in the Community Spotlight section of Daily Kos under the username “Horque.” Her writing has also landed in the “Winner’s Circle” on Midlife Collage twice. Aliza’s February 2013 piece, Leaving Gender At The Door, earned her a BlogHer 2013 Voices of the Year award. How did you get involved with blogging? I began writing shortly after I joined Facebook in 2008. At the time, there was a word/character limit on updates, so when I wanted to communicate something a little longer, I began using FB Notes and publishing them to my wall – anything from a movie review of “Where the Wild Things Are” to reflections on my high school principal when he passed away. When friends pointed out to me that these were really just blog posts available only to my Facebook friends, the seed was planted. I began blogging with my local Patch, then ventured out on my own in 2011! What’s your favorite technology to help you blog/write/tweet/edit? I LOVE, LOVE, LOVE the iPad holder that has a keyboard attached. I really dislike typing on the actual screen of a device – I much prefer a keyboard. That device has so increased my ability to be productive and communicate using the iPad, instead of being so reliant on my laptop – which is not nearly as portable. Related, there is a great app called “Notability” that allows you to take notes either by hand (with a stylus) or by typing. The New York Times (still the best source of news, in my opinion), The Huffington Post (still the best source of what is popular), and a slew of other writers’ blogs, depending upon when they publish, because I learn the most and the best from my peers. If you could travel back in time and send yourself a message, what would it be? Enjoy that metabolism while you have it, but learn how to enjoy healthy foods, too. Any advice for young bloggers? Please be willing to pay your dues. This involves accepting rejection with grace on the outside and forgiveness on the inside – forgiveness of yourself and whomever passed on your work. And in your creations – be as kind as possible. I’m not suggesting you always worry about what others think of you and your work, or that you never be critical, but always at least wonder how the reader/viewer will FEEL about what you’re putting out there on this huge thing called the Internet. What do you think is the greatest opportunity for digital teens today? The greatest opportunity, by far, is the capacity to do good. The reach of the digital world is profound, making it so much easier for even the smallest gesture or donation add up to making a huge difference. What’s the biggest danger facing digital teens & their families today? What are you going to talk about at the conference? I’d like to help kids understand the importance of knowing the difference between “Let’s eat, Grandma!” and “Let’s eat Grandma!” I’m also hoping to convey the impact of a powerful final sentence in anything they write. What’s next for you after the Digital Family Summit? Hmmmm. I’m toying with the idea of turning one of my stories into a children’s book. Do you have any hobbies other than digital media creation? What are you passionate about? My hobbies include reading (I love history/historic fiction), yoga, and glassblowing. Yes, I said “glassblowing.” I haven’t done it in a while, but I swear, once I start making some money from writing I’m going back to the studio. I’m getting new glasses soon, and I’m very excited about it. 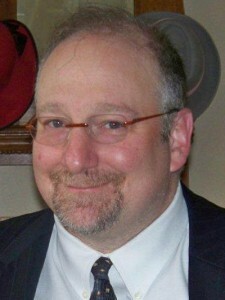 Adam Gertsacov is the co-founder and co-organizer of Digital Family Summit. He wears many hats, including those of a professional clown, an author and publisher, an artist/educator, a non-profit administrator, a P.T. Barnum impersonator, a flea circus impresario, and the esteemed hat of the Clown Laureate of Greenbelt, Maryland. In his copious freetime, he blogs at http://www.clownlink.com and http://www.dadapalooza.com, as well as a few other places.